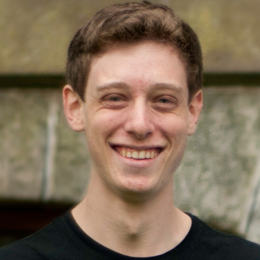 Hi my name is Dan Shipper I’m a sophomore at the University of Pennsylvania and over the past 7 months I’ve been covered in TechCrunch (here), Mashable (here), TheNextWeb (here) and others for projects I’ve built both as a solo developer and with a team of my friends. The absolute best way to get coverage from any media outlet is to know someone who works there, or know someone who knows someone who works there. Journalists, especially tech journalists, get pitched every single day by hundreds of people. Their inboxes are overflowing with emails talking about “amazing,” “world-changing,” “life-altering” startups. That means that your absolute best chance to get coverage for your project is to email everyone you know and ask them if they know anyone who writes for a big blog. Don’t be afraid to ask – the worst anyone can say is no. If you don’t know anyone who knows anyone that writes for a tech site, don’t worry. Compile a list of every tech site you can think of, write a pitch and email all of them. The chances of success are low, but you may get lucky. This is how we got covered in Mashable. If you have a product with traction, excited users, funding, or a really good story you’ve just beaten out 90% of the other cold emails that these blogs get. The most important part is showing in your email that you have a great story to tell that would appeal to the blog’s audience. And keep it short – generally your emails won’t be read past the first few sentences. We got on TechCrunch by creating a Twitter account called YC Y U NO and making fun of a bunch of YC startups. Seriously. Now, we had no idea when we did it at first that it would lead to getting on TechCrunch. We did it on a whim just for fun. But for some reason people really seemed to like the tweets we were coming up with, a bunch of YC founders started following us as well as a few TechCrunch writers. From there we DMed one of them and they agreed to write a story about us and our new project. Get the names of some writers that you admire, or think would be interested in covering you and see if you have any LinkedIn or Facebook connections. I know a lot of people who use this as a first step in getting coverage. You might be surprised at how many connections you have that you didn’t know about. A journalist isn’t going to risk their reputation or their site’s reputation covering an app, or startup that doesn’t have amazing design. If anything is even a little bit off with how your site looks, if it doesn’t look professional and current, they won’t cover you. The design doesn’t even have to be complex. My design for WhereMyFriends.Be which was covered on Mashable was actually really minimalist. But it has to inspire enough confidence from the writer to go out on a limb for. I think the most important thing to realize is that it’s not some insurmountable feat to get coverage. Tech sites are run by real people too, and if you show them that you have a great story, and a great product your chances of success increase exponentially. Persistence doesn’t hurt either. That being said, don’t pin your hopes on coverage. It’s a huge rush to get it, but the road to success doesn’t always start with TechCrunch and in fact often doesn’t. A few days ago I put together a small app in Rails called DomainPolish. When I was finished with it I posted it to Hacker News. It made the bottom part of the front page for a little while – at one point there were as many as 30 people concurrently on the site. I waited for the sales to roll in. None came that Friday night. On Saturday too, there was a fair amount of traffic coming onto the site but, still, no sales. Then Sunday came. It was about 4 in the afternoon and I was thinking about what kind of project I wanted to work on next. The first sale came in. I went nuts. Then another sale came in and I was happy as can be. I had set a goal for myself to make $5 that weekend and I had fulfilled it. And then the person who made the second sale emailed me. He wanted to write a blog post about the service. I said “Sure!” and waited to hear what he had to say. Well the blog post came out in about an hour, and he loved the service! I was so happy. And then he submitted it to Hacker News. Suddenly I was getting emails left and right saying that I had made sales as it climbed the front page. By the end of the night the blog post had referred 1500 people. I had sold 32 plans. That’s cool. But what was even more cool was to look at how that conversion rate changed (and ultimately number of products sold went down) when I had far more traffic but without social proof. Two days after the blog post I decided to write an account of my experience creating the site. After I wrote it I posted it to Hacker News. Soon the visitors were pouring in, and it stayed as the number one story for at least a few hours. By the end of the night my blog post had referred almost 3000 people – 49% more visitors coming to the site from my blog post, than from the blog post written by someone else. But the number of products sold from a blog post written by me was actually 50% lower than the number of products sold from a blog post written by someone else. When someone wrote about me I sold 32 plans. When I wrote about myself I sold 15 plans. What does this say? Social proof matters. Your traffic will convert better if there’s someone credible on the other end saying they love your product. Ad campaigns and blogging about yourself are very valuable tools, but in the end they can’t compete with the power of social proof. Hi my name is Dan Shipper and I’m a rising sophomore at the University of Pennsylvania. This is the story of how I created DomainPolish a site to get on-demand, inexpensive focus groups to review your website and ended up making $350 with it in two days. It all started when we found out we had made it to the TechStars NY Wildcard Round. The way the TechStars Wildcard works is they take 10 teams who they really liked, but whose idea they weren’t fond of, and give them a week to come up with a new idea with the understanding that at least one of the teams will make it into the program. While we were deciding which idea we wanted to pitch to TechStars, my teammate Jesse Beyroutey (fantastic blog here) started using Amazon Mechanical Turk to get feedback about them. He would post a short description of the idea, and then ask the turks (as they’re called) to give us their thoughts. I was surprised at some the high quality comments we got, and I was fascinated by the power of the concept. There are a lot of awesome things you can do with a distributed, on-demand workforce of people gathered over the internet.